Gift your guests with these beautiful chocolate shoe lollipops favours individually wrapped in cellophane bag and ribbon colour of your choice. These chocolate shoe lollipops are available in white, milk, dark chocolate, perfect for weddings, birthday parties or any fashion event! 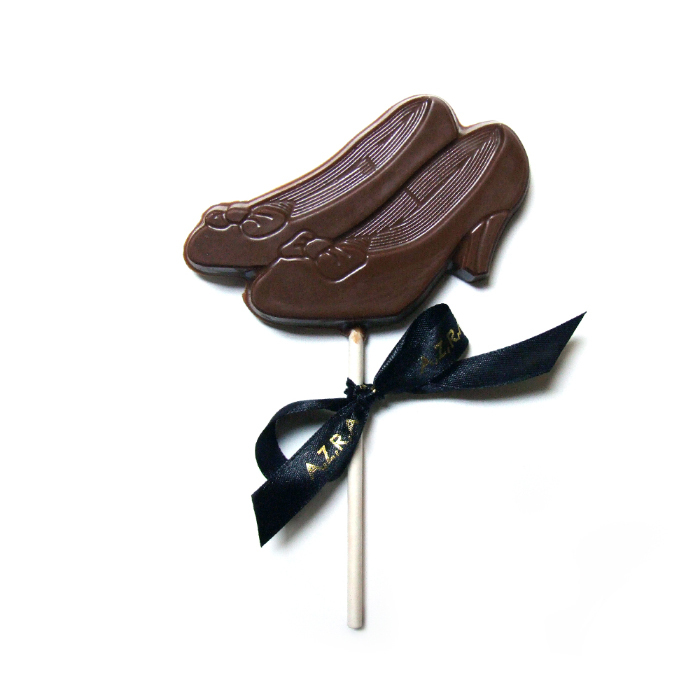 Weight/ size Approx weight is 20g and size of chocolate shoe lollipop is 8cm from heel to toe and 4cm wide. 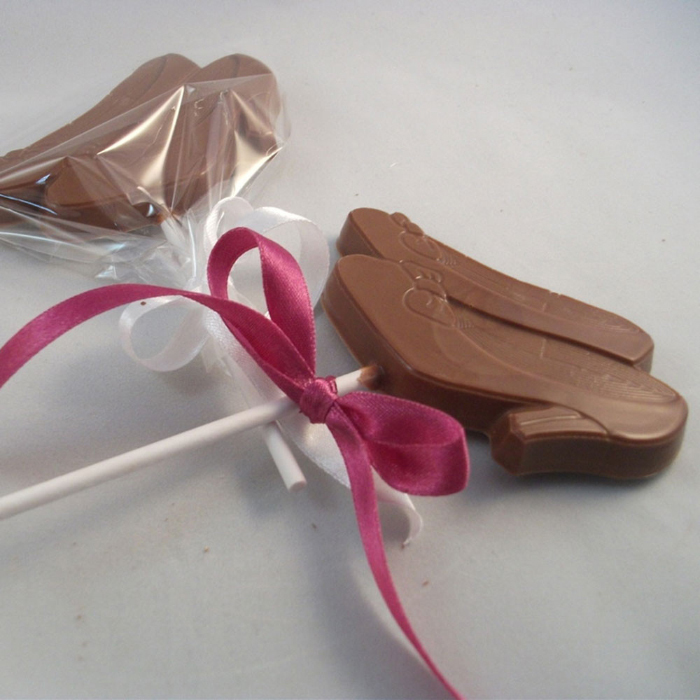 Minimum quantity for "Handmade Chocolate Shoe Lollipop Favours" is 10.